Consumers are becoming more aware of the environmental, economical and social consequences of the purchase choices they make. They are also learning that they communicate with the market through these choices. The market is very responsive, and consumer buying trends is a science manufacturers and retailers pay very close attention to. The recent corporate sustainability and ‘green’ advertising movement is the perfect example. Textiles waste makes up only 5% of North American landfills, but it’s a very problematic 5%. It’s also totally unnecessary that this number is so low, as 98% of used textiles are recyclable. Public policy makers have rightly prioritized establishing recycling measures for the high volume or hazardous waste material first-aluminum, glass, plastic, tires, e-waste and hazardous waste became the focus of legislators and sustainability organizations everywhere. Outstanding improvements have been made in these areas. Textiles are now slowly becoming the new priority. Instead of waiting for laws to dictate better textile waste management, the market is already shifting based on consumer demand. At TWD, we are getting more questions about how we manage the waste in terms of sustainability than ever before. We are researching and implementing waste tracking processors so that public sustainable annual reports can be available. We are also producing educational videos and partnerships in an effort to educate the public. It didn’t take a law to push us in this direction. You did it, every time you called or emailed us or one of our clients a question asking for information. How Canada currently manages its waste stream is antiquated and unsustainable in this changing global economy. Europe has far more advanced methodology that uses textile waste as a valuable resource. 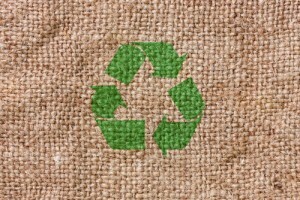 Besides properly recycling textiles, there is another important factor, and that is the European consumers buying style. The average Canadian will discard the same amount of textile waste in their first six months of life than a person in the developing world will discard in their entire lifetime. North Americans have a disposable shopping mindset – we tend to update our wardrobes every season. We look to buy the most stuff for the least amount of money. It doesn’t matter if an item gets shoddy after a few washes, we are happy to dispose and buy something new to replace it. Until the tragedies in Bangladesh were exposed, most never gave a second thought to working conditions and environmental damage that our ‘need for cheap’ caused. Thankfully, people know better now, and the market is responding. The difference in European shopping, is that there is a focus on quality vs quantity. European fashionistas seek out classic pieces that stand the test of time. They wear the same clothes season after season, and update accessories to keep the wardrobe current. Because these classic pieces are expected to last, the focus is placed on type of fabric, craftsmanship, and quality. Price is not really a consideration. The quality that discerning European shoppers demand come at a cost, a price a European is proud to pay. How long an item lasts is a source of pride. A European’s closet might not be bursting like a North American’s, but you can bet every piece is fabulous, and much of it designer. A European would rather have 10 absolutely stellar outfits than 50 average ones. Europeans are also much more aware of toxicity in textile production. Their demand for sustainability puts environmentally responsible designers at a competitive advantage. This motivates other manufacturers to do the same in order to remain competitive. The new trend in textile production is reducing toxicity, and water conservation through using recycled material as opposed to raw base materials in fabric production. Did you know that you can now buy clothes made of recycled plastic bottles? You would never know to touch it. It looks and feels like ‘normal’ fabric – and when you are sick of it, you can just donate it to be recycled gain. Textile Waste Diversion are industry pioneers, finding better ways for Canada to manage its textile waste stream. We feel privileged to be part of this positive shift .